The Occult is one of the few areas where science and faith are merged. While science guides the forces that allows the Practitioner to Cast and manipulate energy, it is the belief in the possibility that allows them to do so. Even within each particular topic that we discuss, there involves those same recurring elements of reality and alternative realms – that which we know has been proven to be possible and that which we believe is possible. To cite a few examples, when we charge our instruments during Ritual, we know that when done properly we will have augmented inanimate objects because we have experienced this time and again, and the practice has been passed down over the course of millennia. However, when Edgar Cayce, the Sleeping Prophet, amongst others made their predictions about the future, claiming to have entered the Akasha Plane to ascertain the truth, this is more a matter of faith. You may believe in your heart that this is the truth, or you may reject the notion all together. Either way, nobody can tell you whether you are right or wrong. Amongst those which the Practitioner is justified in relying upon is the use of certain Magickal Plants and Rocks. Living in this epoch, we have the benefit of knowing about the trials and errors of Practitioners of the past, who experimented with all sorts of roots, flowers, and leaves, with the hopes of finding some Magickal power within. Though we continue to experiment and expand upon these ideas, the use of Magickal plants and stones is a staple in the Practitioner’s work because it has been shown time and again that these items are necessary for proper Casting and to make certain concoctions to accompany the manipulation of energy. One of you recently expressed doubt as to whether there is truly such feature as an aphrodisiac within a plant. The answer is yes. In fact, when Casting a Love Spell, every qualified Practitioner knows that an aphrodisiac is a necessary part in achieving the Spell’s goal. So what exactly is an aphrodisiac? The term, of course, comes from the Greek Goddess of love, Aphrodite, because she was said to make any mortal or god fall in love with her, and also held the power to make others fall in love with each other. Thus, we stuck with the term since the purpose of an aphrodisiac is similar to the goals of Aphrodite; however, put bluntly, an aphrodisiac is a matter, generally a part of a plant, animal or a tree, that appeals to a prurient interest. In other words, it increases stamina and desire. 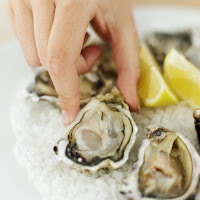 Some aphrodisiacs are compounds that are generated from plant production. These include Phenyl ethylamine, Crocin, and Yohimbine. Sometimes these substances are referred to as narcotics, when this is a misnomer. They are in fact natural substances found in Magickal plants. More familiar aphrodisiacs include Ginseng, Deer Antlers, Maca (one of the best that is rarely found outside of the Andes in Peru), Goat Weed, Watermelon Acid, and even the secretions of the “Spanish Fly,” a rare species of beetle. The catch here is that an aphrodisiac is not what you might expect. If a man gives a woman a rose, or lights a nice scented candle, this might increase her desire, however these are external factors which stem more from the brain’s association with a particular gesture or a scent. Aphrodisiacs, on the other hand, are scientific compounds that truly enhance desire, whether this effect is desired or not. It is simply a fact. However, coming full circle, if you resist the truth and have no faith that it will work, it will not; the true Occultist knows that science and faith can never truly be separated. 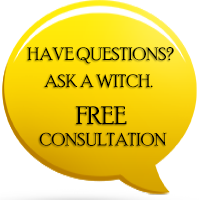 We always love to hear from you: please share your thoughts on our Facebook page at: http://www.facebook.com/7witchescoven.